Savor two perfect days in this private tour of Milan, Lake Como. Enjoy magical day enjoying museums, shopping and sightseeing. All with a private guide service. Best of all, you can customize the days according to your interests. NOTE: We’ll help securing your hotel. Train tickets will be purchased for you, if needed. NOTE: Customize this private. Add another day, if interested. Arrive Milan at your convenience. We will work with you in making all the arrangements – hotel, train tickets or anything you need. 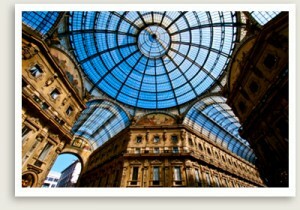 A half day walking tour of Milan with a local expert guide is planned. Pick up at your hotel. Your walk will take you through numerous sites: the imposing cathedral (inside visit is included), a walk through the galleria shopping center that is an architectural wonder, La Scale opera house and more. A visit to one of the museums can be arranged if interested. Private transportation will pick you up at your hotel in Milan for your Lake Como private tour. A local expert guide will meet you and take you on a tour for the day. There is a possibility of touring the lake a bit using a public boat or if you prefer, we can arrange a private boat for your touring needs. Otherwise, we suggest a visit to Villa Carlotta in Tremezzo for its magnificent gardens facing the lake. The villa also has some interesting artwork inside and in the garden. You may also consider a visit to Villa Melzi instead which is conveniently located right in Bellagio. Inquire. After your time in Bellagio, your private transportation will take you back to your hotel in either Milan or Como, if you are staying in Como.